Valley Pain Centers always appreciates feedback from our valued patients. To date, we’re thrilled to have collected 46 reviews with an average rating of 4.87 out of 5 stars. 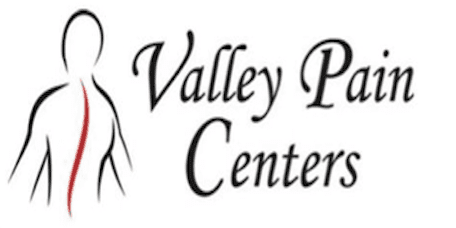 Please read what others are saying about Valley Pain Centers below, and as always, we would love to collect your feedback. Dr. C is very professional and genuinely cares about his patients. Let’s just say you can’t go wrong with any of these Doctors at this facility. I myself have been seen by 4. My primary Doctor Kush has been amazing in that I trust him and his professional advice on what procedures are best for me with the numerous problems I have had throughout the last couple of years. He takes time to listen and I am able to do more activities now that I am under his care. Also making sure I am clear of what each procedure entails. Very pleasant and caring. I am one very happy patient. Excellent! I would enthusiastically recommend Dr. Yuk to friends and family. Provider takes his time and answers questions thoroughly. Friendly knowledgeable staff. And on time. Great work. Excellent doctors. Will be my doctor of choice. Highly recommend. Staff were wonderful from the beginning. As a new patient they were able to get me in the next week. I asked for dr. Knighton because of what I saw he does on the web page. He's an extremely kind and patient doctor Who listened to everything I had to say. I felt like we worked as a team. They don't do medication management but they do have a lot of alternatives. So if you're trying to get off of the drugs and you need some other help I think these are the people to go see. I've had my pain for over 10 years and I feel encouraged that there may be a better future for me. I highly recommend their office. The receptionist is my favorite!! Theyve treated my husband very well! This Valley Pain Center is wonderful. People that work there are so friendly and the doctors are very professional and handsome. Pleasant atmosphere. Treatment comfortable; injection tolerable. My pain is still severe so I am eager to get the 2nd injection. AMAZING.....completely amazing. Dr. Knighton, front desk staff, medical assistant, procedure anesthetist & radiologist. Incredible. HIGHLY RECOMMEND! I had my second visit and first procedure today, an epidural in my neck with the intent to get some relief for a degenerative disk. The jury is out on whether it'll be effective, but hopes are high. I was really impressed with Dr. Knighton's demeanor. He seems very thoughtful and patient. In my consult, he went over their intervention and the options and just gave it to me straight. The staff are very effective and seem to really gel as a team. I needed a little e tea time to get moving after my procedure, and they were caring and helpful. I came to Valley Pain Centers on the recommendation of my Chiropractor, who's always been straight with me. I knew a little of the practice, as the ownership are chiropractors who used to own the practice where my Chiro worked. I'd seen the around and knew that they were caring people. My only recommendation to the practice is that they could dress us up a little and get some more comfortable seating. That's minor, because this is the sort of place where you're doing something wrong if you're there for a long time. My final note is that this isn't a painkiller dispensary. Not that I was looking for this, but that was always my assumption when I heard "pain clinic". Well, that's pain management. This practice is about intervention and regeneration. Valley Pain Center is amazing. My knees hurt so bad I would no longer walk up my stair case to go to bed at night. But because of amazing treatment that I received I am back to running and playing softball. Dr. CHURCH and the entire staff are top notch people. Excellent ! Dr Kush was great at explaining the procedure and I was very comfortable with him giving me an epidural. Good bedside manner. I made the mistake of going to the other Valley Pain (Consultants, not Centers), and it was a disaster. What a blessing to find VALLEY PAIN CENTERS, with quick appointments, responsive office staff, actual humans on the phone, and a marvelous doctor. I was scheduled for an appointment in a matter of days, and the nerve block procedure I was hoping for will happen in a week. At the other place, they just couldn't manage to get me in until October or November. And the attitude of staff and the doc was indifferent and dismissive. The contrast is evident even in the feel of the place, with everyone in the VPC office smiling and chatting. And my doctor -- "we'll get this done promptly. We want you out of pain asap." Valley Pain CENTERS, people. Not that other one. I strongly recommend this clinic. Love going to this office they are good and heathful have great personal. The Drs for pain are the best.Thank you for making us feel better with no pain. Thank you guys.